It’s fair to say that at this stage of the game industry’s life, the prospect of an indie title with high art aspirations is an enticing one. After all, these games include classics such as Limbo, Braid, Inside, and What Remains Of Edith Finch. While Vane’s aesthetics can often impress, everything else about the game drags it firmly away from glory. 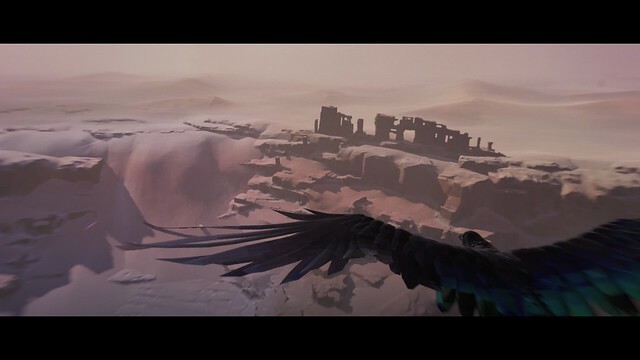 After a brief prologue you begin the game as a bird, flying through a desert with no explanation and no direction. Initially this is quite liberating. Working out the simple controls for yourself, you’ll glide and swoop around the environment looking for points of interest, enjoying the simple pleasure of flight. It’s not long, however, before problems start to seep into the experience. Least problematic, but still noticeable, is the way in which you are initially led to the spots necessary for progress. A combination of an unusually powerful glint of sunshine from metal, a change in music, and a little lens glare is somewhat on the nose, but nothing if not effective. Vane insists on presenting itself in letterbox format, which adds nothing to the experience. The biggest problem to arise during the desert sequence is a terrible camera, an issue that not only remains for the entire game, but one that only gets worse. Here and elsewhere, your bird needs to perch on certain objects and interact with them. This involves approaching at the correct speed and height, something made more difficult when you have a clear view of neither yourself nor your target. Soon, you discover that your bird transforms into a small boy when close to a strange glowing material. This means a lot of gameplay on the ground, and this is where the camera truly struggles to accommodate the player’s actions. Wrestling with the view via the right analogue stick, it’s not uncommon to see the scenery obscure the character completely. Combine this with a tendency for the character model to clip through certain corners of the environment, and the experience is anything but smooth. There are puzzles, although the game’s greatest challenge tends to be working out where to go next. All of this culminates in a game that smothers its aspirations under a blanket of frustration. A metaphor-filled narrative can be seen, but not heard. It is after all somewhat difficult to look for a deeper meaning to the experience when the character on the screen won’t do what you want it to. 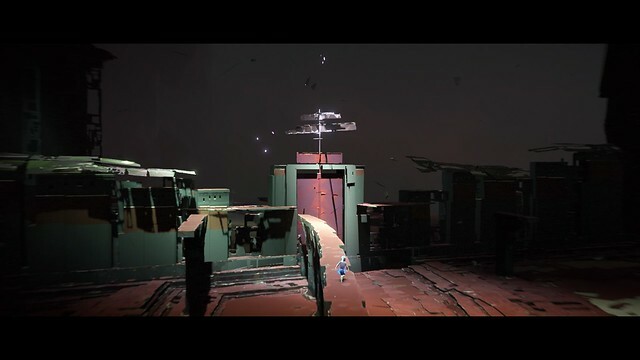 Even if everything worked perfectly on a technical level – something that it seems is highly unlikely to happen, even with extensive patching – the game would still struggle to tell a coherent story, and thereby feed the player a coherent experience. That it is clear inference is necessary for the ‘true’ meaning to come through is quite beside the point. 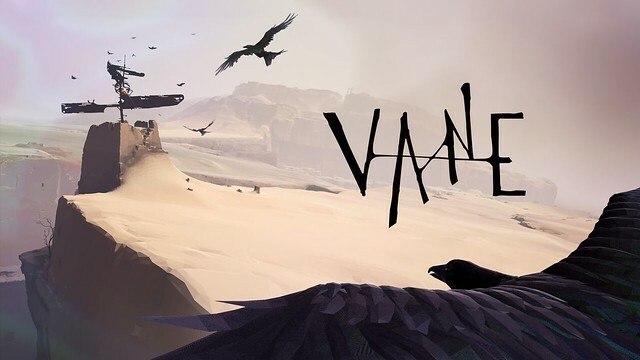 One story must be present in order to tell another, yet Vane comes across as little more than a sequence of unexplained events tied together to make a game. Vane is aesthetically pleasing and, at times, interesting. It is also a technical shambles, a story without any storytelling, and a game with poor player direction. It is also – remarkably – a game that saves only four times during the entire experience, with little indication of when these saves have taken place. Although it’s a very short game (less than two hours if you don’t get stuck), if you abandon it at the wrong moment through boredom or frustration, you could lose a significant chunk of your slow-paced progress. It’s clear that a lot of love has gone into this project but, sadly, the wind blew the wrong way for this one.